Costa del Sol Real Estate: Resale or New Construction? There could be a number of great reasons why you've chosen to purchase real estate on the Costa del Sol as the location for your second home. It could be the beautiful Mediterranean Coast that stretches across the southern boundary of the Malaga region. Or, perhaps you're more interested in the financial side of things. This makes for a sound investment since property prices in Spain have been steadily increasing since before 2018 started. Really, whether your reasons for purchasing real estate relate to the weather, finance, other, or a combination of these, The Costa del Sol makes a great fit. The choice to buy a home or to build one anew, however, is a bit tougher of a decision. Really, it has more to do with what you specifically want. And that's as it should be since it's going to be your getaway place. Here are some things to consider in that regard. When you picture yourself and your family getting away from the daily grind to your dream second home in Spain, what do you see? What do you hear? Are you alone, far from the crowd, enjoying some peace and quiet while you work to make your home and garden just right? Or do you wake up and look out the window only to see that you're a two-minute drive by golf cart to the nearest putting green? Perhaps you'd prefer to be part of an active community of those living within similar circumstances as yourself. It could be that you'd like to live at a level of luxury that you couldn't in the United Kingdom. 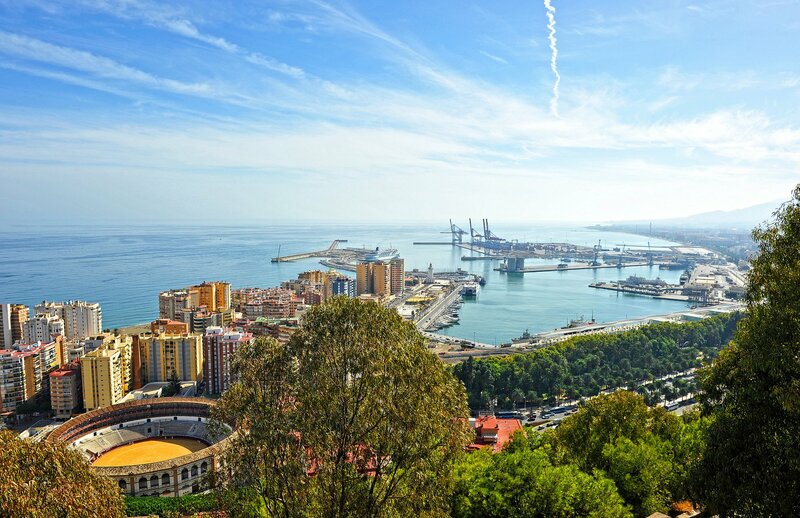 And no wonder, since you could more than double your standard of living in the Malaga region when compared to the cost of such a standard in London, or another comparably priced city. Where you ideally see yourself should determine, not only the type of Costa del Sol real estate you decide to purchase, but whether or not you decide to buy or build there. If you picture yourself in a quiet place, working on your own home and garden, you'd likely prefer to purchase property that you can build your own home on. This will give you the freedom to make your Costa del Sol real estate truly your own, just as a quiet getaway should be. If your choice to make Costa del Sol as your second home getaway has more to do with the community and recreational aspect, golfing, or living in increased luxury, then you'd likely prefer to buy a home. Before making such a big purchase, no matter how perfect the choice is for you, it's still always best to speak to a professional. This can save you the headache of trying to figure out what red tape you need to go around, whether you're buying or building. Are you considering purchasing Costa del Sol real estate? Have you already made the choice to do so and just need some help bringing that choice to life? Get in touch with us so we can make you sure can get away to somewhere you have less stress, not more. receive a token of our gratitude! Word of mouth, and recommendations amongst friends and family are still the most effective forms of marketing. So if you believe your friends and family could benefit from our property services in Spain, why not recommended them via our Client Referral Programme?